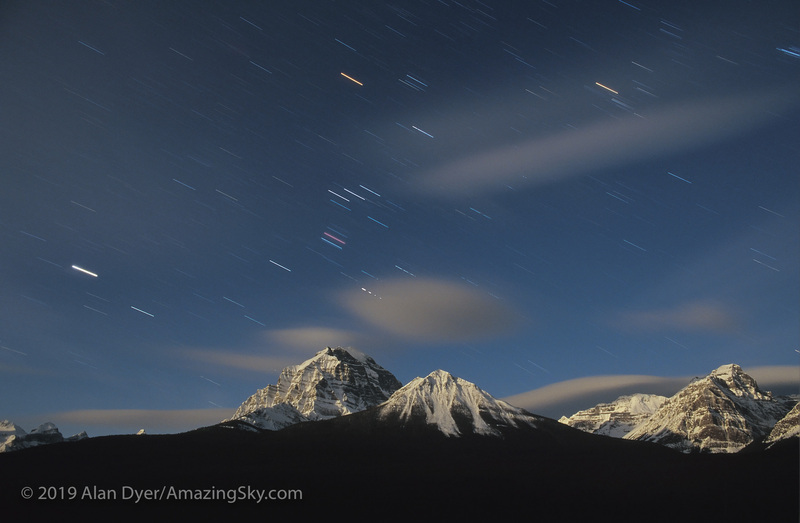 A train winds through the Rockies, seemingly headed for Venus! 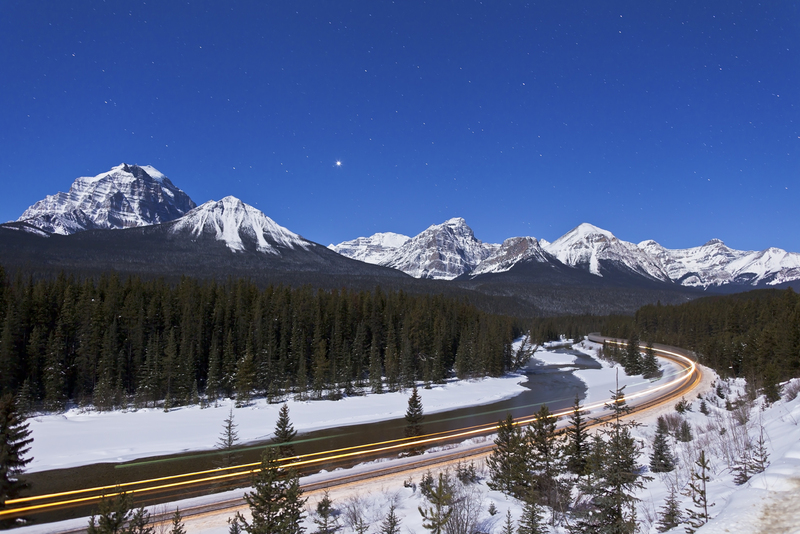 I took this shot last Saturday night at one of my favourite photo stops in Banff, the famed Morant’s Curve on the Bow Valley Parkway. 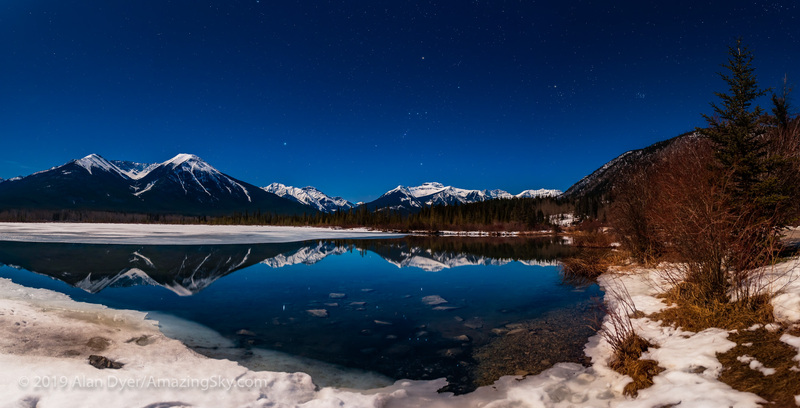 This was the spot made famous in the 1930s and 1940s by CPR photographer Nicholas Morant who hauled his large format view camera around western Canada shooting scenes of the Canadian Pacific Railway and classic steam engines at work hauling through the Rockies. At this location the train winds alongside the Bow River heading up to the continental divide marked by the line of peaks in the distance. 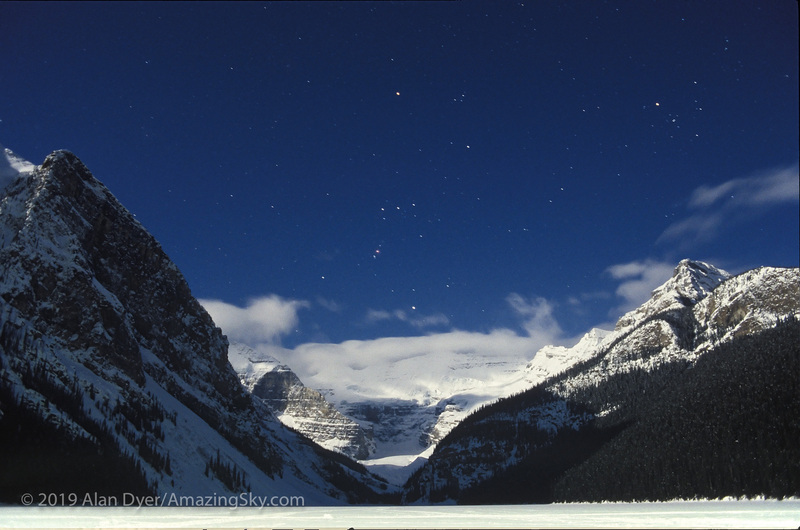 On this night, Venus shone brightly over the peaks surrounding Lake Louise. A westbound train heads off into the distance. In a few minutes it’ll be over the divide and descending Kicking Horse Pass into Field, B.C. 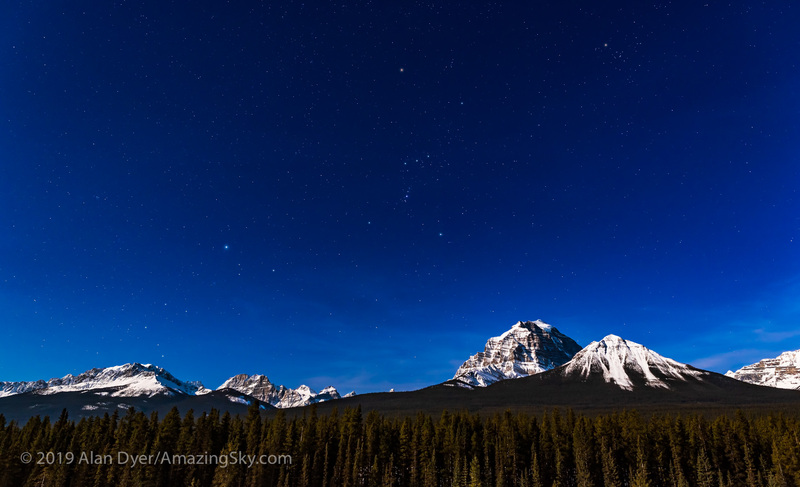 and Yoho National Park. It’ll never reach Venus!